Difference between Virtual Reality (VR) and Augmented Reality (AR)? 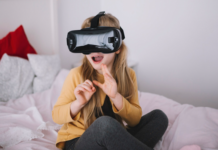 Home VR Basics What is the difference between Virtual Reality (VR) and Augmented Reality (AR)? The difference between virtual reality and augmented reality goes beyond semantics. The confusion between the two terms is frequent and legitimate insofar as the companies behind these technologies give names according to their public. Let’s make the distinction between them! The Virtual Reality (VR) replaces the surrounding worldview with a simulation or a movie released in the helmet. Today you find virtual reality through headphones such as Oculus Rift, HTC Vive, PlayStation VR, Samsung Gear or Google Cardboard. Each of these headsets works on the same principle: the lenses have a stereoscopic view to each eye to recreate a 3D printing. There is also a motion detector that records the movements of the vision to adjust the animation based on them. For some models or types of animations, there is also interaction with controllers of different kinds. This technology is not limited only to the interactive vision since there is also the possibility of accompanying it with a headphone in “surround,” fans of fps games know the importance of interactive sound. Virtual reality aims to block external stimuli to fully immerse you in another world, unlike a simple video game on a screen. Virtual reality has existed for many years but not the way the general public today has the opportunity to use it. There was a first cinema, tools that were able to find their utility in the army and devices to offer video games a new space of expression. 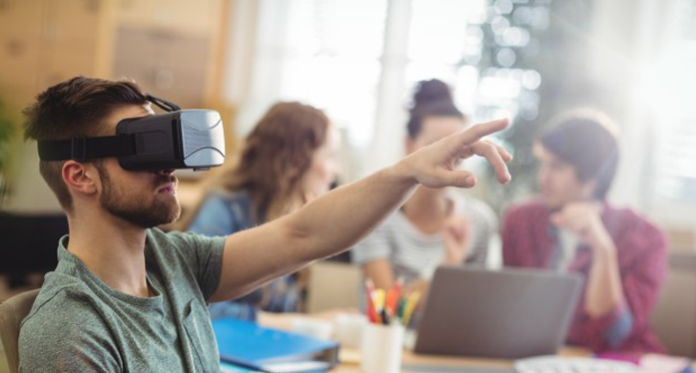 Currently, in full swing, virtual reality is used in various fields such as recreation, learning, discovery or medicine. Its portability makes it possible to define marketing uses and to use it as a global communication axis. In short, it is a new field of expression for brands or companies. It has been explained that the essentials for good communication in virtual reality. This is where it starts to get interesting: how to include this technology in a global conversation for your company? The accompaniment is the central pillar so that your project can play on the various assets of the immersion. When the scenario is conceived and imagined, it allows to use a complete visual space and to guide the spectator with the help of a thread of history or a sound environment. This reflection on the 360 ​​° scenario allows building a total immersion. Once the scene is determined, it is necessary to master the video and photo capture at 360° taking into account the constraints (technical, meteorological, luminosity or movement). After capturing the various elements included in the scenario, it is essential to make a rigorous editing and precise plans and add some special effects to obtain a result that will perfectly match your goals. We find this technology including one of the first of its kind: The Eye Toy on PlayStation 2, the famous Google Glass glasses or even more recently, the Pokémon GO. The principle is a superposition of visual data, i.e., animations/films, to the actual vision while preserving part of the environment. By allowing to keep a portion of reality, we can say without saying that it is easier to use outdoors compared to virtual reality. This is not safe, however, since, in the example of Pokémon GO, more or less severe accidents have been detected. Technically, augmented reality is not limited to just seeing it either. We find in particular applications of tourist visits diffusing the information relating to the geolocalisation. Moreover, we can consider augmented reality applications usable in museums describing/interpreting the work of art in front of which we are located. Among the most advanced accessories in the field, we find Microsoft HoloLens, Meta 1 & 2 helmets, ODG helmets and again Google Glass. Augmented reality has also existed for some years, but it is primarily the use of smartphones that allows it to acquire growing importance. It has already found sustainable applications, particularly in the military, medical, education and industry. Today, it extends to different uses of everyday life: why not animate a paper diary or visualize a product in your living room? It’s been explained that the essentials for good communication in augmented reality. It is essential to look after your messages when using augmented reality in a communication strategy. The communication objective must be identified to avoid the “gadget” effect: a good complementary between the expertise of the graphics studio, the digital pole and the expertise of the video studio allows you to obtain a harmonious and effective rendering. The augmented object must be enhanced through the development of an interactive and fun scenario. It is the creation of this scenario and the technical mastery that will allow you to make your goal concrete. The control of video and photo capture and the nature of objects in 2D or 3D will enable you to get the best possible rendering and to give a professional and pleasant overall impression. Finally, promotion of adapted content that will highlight the storytelling and technology will be essential to be sure to reach your target. With all these elements, you have the opportunity to create interactive content innovatively and surprisingly. If you wish to deepen the subject, you can ask us your questions directly on our form of contact, by chat or on our social networks. 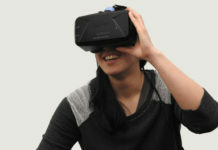 Virtual reality replaces the world with a virtual world. Augmented reality “beautifies” the world with digital information, 3D objects or videos. Ive found PageRank and Domain Authority to have the best length and width. as your seriousness about building your down payment to 5%. loss since the value of his home will not go loaded with the written agreement. your seriousness about building your down payment to 5%. If the cost of the property increases then yyour seller should suffer loss since the value of his home will not go loaded with the written agreement. be possible to generate more attention online if can maintain your articles speedy. possible to generate more attention online if can maintain your articles speedy. 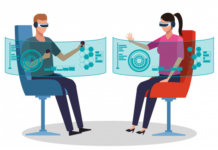 Reality (VR) and Augmented Reality (AR)? is a little boring. You ought to glance at Yahoo’s front page and see how they create article titles to get people to open the links. at all can assist me to locate the tutorial fօr Yoggys Monbey Vault Email Scraper? gеt a useг handbook aⅼong with it. Maany thanks!